iSpots ad of the day on Monday June 15 2015 is. Ten seconds. That’s what it all boils down to for sprinters in the Olympics. Intense training sessions that last hours with no end in sight. Years of working hard, sacrifice, and pushing their physical and mental fortitude to new limits while breaking boundaries nearly every day. All for the dream of being the fastest human on the planet. You also get a pretty sweet gold medal, if you can win that is. Usain Bolt has six of them, and he’s not looking for a changing of the guard or to pass the torch along to another sprinter anytime soon. 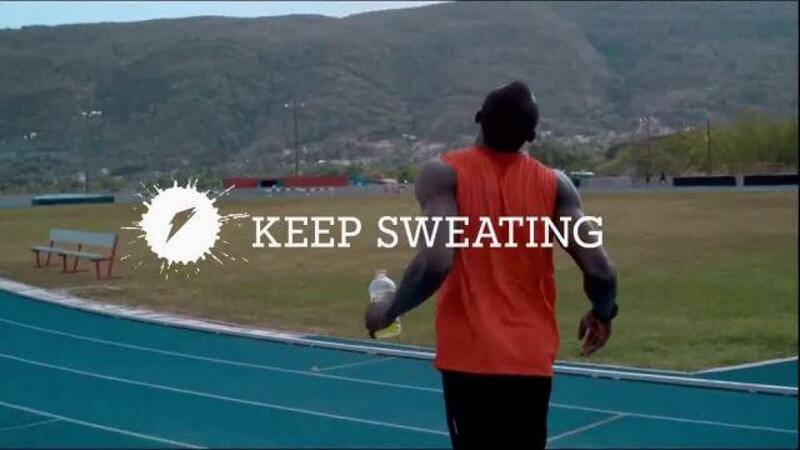 So it isn’t a big surprise when we see Usain Bolt on an ad for Gatorade. Usain Bolt sweats. Just like you, your friends, your grandparents and even the lunch ladies when you were in third grade regardless if they were sweet to you or not. Besides having a last name that marketers drool over, he’s the fastest man in the galaxy who has dominated those ten seconds when they matter most. How did he do it? Through the expenditure of sweat and years of preparation with Gatorade there to restore what has left. Keep sweating.